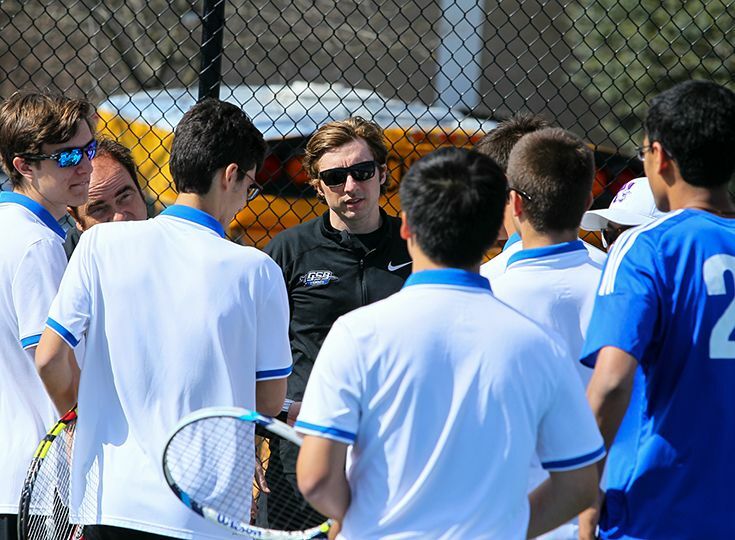 Despite losing some key players from last year’s squad, the boys’ tennis team remains optimistic that they will have a successful season and will continue to improve throughout the spring. The Knights are currently 1-1 after finishing last season 5-10. Gill earned its first win of the season by defeating Franklin 4-1 on April 8. Ryan Shin ‘21 won an extremely close match in second singles to earn Gill’s first victory of the season. Andrew Margolis ‘20 followed up by convincingly winning his third singles match. The doubles teams of David Isserow ’22 and Tyler Lynch ’20 along with Dara Nourbakhsh ’19 and Frank Xiang ’20 were also victorious. The only player to drop his match that day was Evan Matthews ’20 as he fell in first singles, but Hensley has been happy with his development and leading the way by taking the top spot in the lineup. Hensley is also optimistic about the program changing divisions this season, and he believes the different competition will be good for the team. Along with dual meets, the Knights will be participating in the Somerset County and Prep Championships later this season.